We are delighted to announce that Worcestershire car club Mercia Minis has chosen our Malvern Day Care service as their chosen charity for 2019. 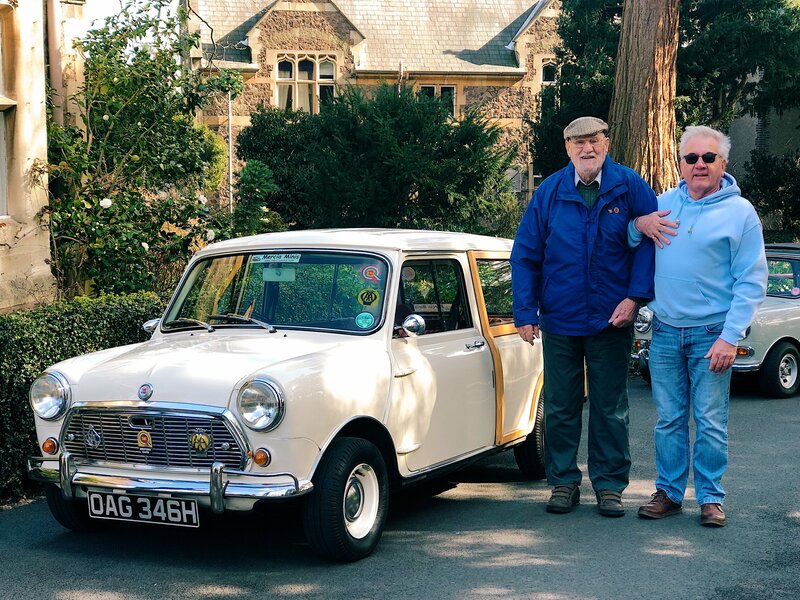 On Wednesday 13 March, Club chairman Andy Stephens and club members Linda Gilks, Julie Ash and Ann Rowley drove their classic minis to the day care centre to officially launch the fundraising initiative. 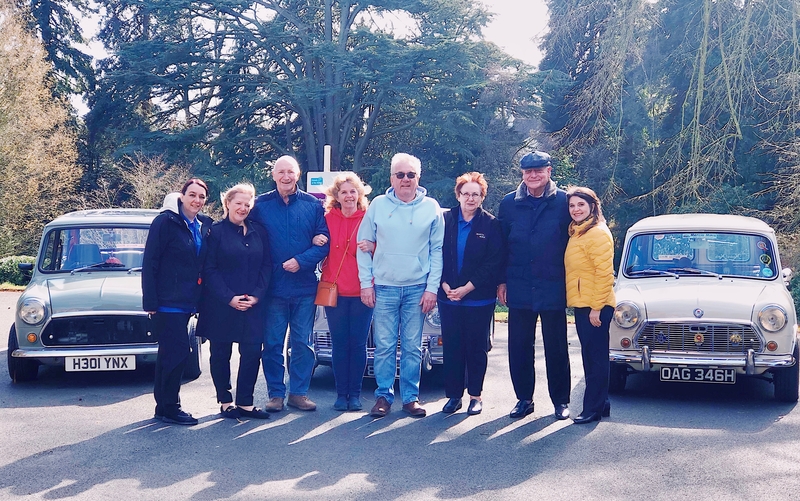 The arrival of the classic car club sparked great excitement from clients at Malvern Day Care, a service that supports people living with dementia. Everyone got the chance to find out more about classic minis and share their own motoring memories. Andy Stephens said: “We had a fantastic response from the people here, especially one gentleman called Bernie. He used to own a mini and was really interested in what we do. “It means a lot to me personally to support Malvern Day Care. My sister has recently been diagnosed with dementia and I know how important this kind of service is for families like mine. Now in its tenth year, the Worcestershire car club will be exhibiting their classic cars at shows, steam rallies and fetes throughout the year. The fundraising they do will enable our Malvern Day Care service to enhance the experiences of clients. Day Care Manager Shirley Bradley said: “We’re delighted that Mercia Minis chose our service as their charity this year. The money they raise will help us put on extra activities and to buy more equipment. “We’ve got so many ideas about how to engage with and occupy our clients during their time with us. These types of donations give us the chance to add more value to their day. Malvern Day Care is open every weekday and offers a range of activities for people living with dementia. The service is a lifeline for clients, who might otherwise spend their time at home alone, as well as giving carers a well-earned day of respite. If you would like to find out more about our Malvern Day Care service, email hello@fote.org.uk or call our friendly team on 07793 669 646.